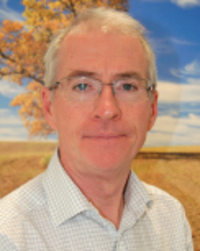 Mick Sloyan is Strategy Director at AHDB Pork (Agriculture and Horticulture Development Board), the statutory organization for the English pig production and processing industry. Mick started his career in 1977 when he joined the Meat and Livestock Commission as an Economist after obtaining a BSc in Agricultural Economics and an MSc in Agricultural Policy. He worked in a range of areas including market analysis and long term forecasting for the British meat industry before specialising in the pig industry in 1999. During his career at MLC Mick also worked on the links between meat and human health and has worked on secondment for the British Government in Sudan. Mick is the Chairman of the International Meat Secretariat (IMS) Pork Committee and the Animal Care Committee. He is also a member of the IMS Executive Committee.